Dollingstown based packaging company Huhtamaki present our Fundraising Worker Eamon Murphy with £2,043.00 in donations. The company have been very supportive of our work in recent years, having made another large donation previously. The company have recently cemented their commitment to supporting charities by establishing a fundraising committee within the workplace. 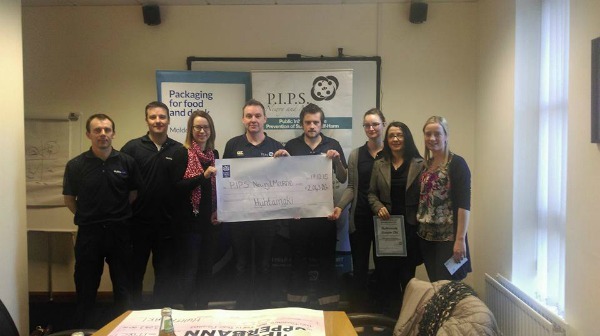 Funds are raised through a variety of events involved staff throughout the company. Examples of which included bun/cake sales, Belfast Marathon Relay Team and a Mens Health Programme. We extend our sincerest gratitude to everyone at Huhtamaki for endorsing the work we do, by their continued support.